Taking place 25 years before Drakensang itself, the game features plenty of familiar faces from the original as younger selves; indeed, the game takes place as a story being told being told by Forgrimm to Gladys apparently post-Drakensang; though she is depicted in some fetching leather armour, I’m sure I left her in something a little more bling… Oh, pre-rendered cinematics and no trawling of old save-games, why are you so? 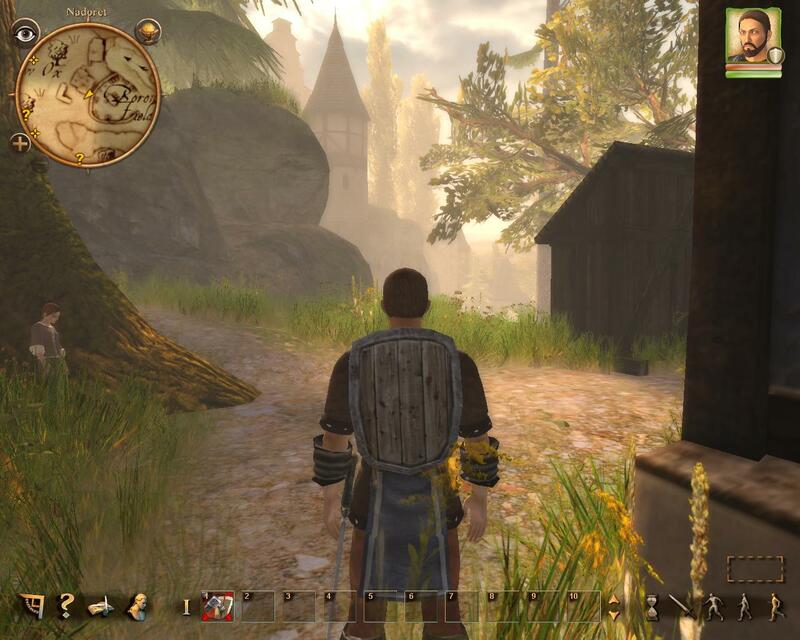 Character generation is almost identical, with a few more bells and whistles like being able to choose your hair, face and body build from a few presets; although you’re still locked into the character archetypes presented rather than having full free-form control over everything (unless the bewildering complexity of Expert Mode hides that). As with the first game, though, it’s easy enough to let the minutiae of the Das Schwarze Auge rules wash over you and fall back on “higher numbers are better” (unlike Baldur’s Gate‘s D&D 2nd edition Armour Class/THAC0, which foxed me for quite a while; “why is leather armour better than chainmail?”). Oh Janah, have you never played a narrative-driven RPG before? Drakensang: The River of Time is as instantly captivating as its parent. It has retained all the charm, both visual and textual, and it’s all evident from those first few moments when you step off the boat. The engine is clearly the same, but tweaked up (as is only to be expected, because it was already a particularly fine engine). Though my aging computer can’t quite cut the higher settings, the game looks as good as the original Drakensang and runs as well on medium, so I can’t complain. Of course, I would like to get a better computer so I can see the game in its finest clothes (indeed, I have begun to consider what components will be required to turn Daedalus into Helios). It’s not a grimdark game dealing with all the gritty issues of the modern world, like most big-name RPGs seem to want to be these days. It’s a classic adventure, where people actually refer to your character as an adventurer. 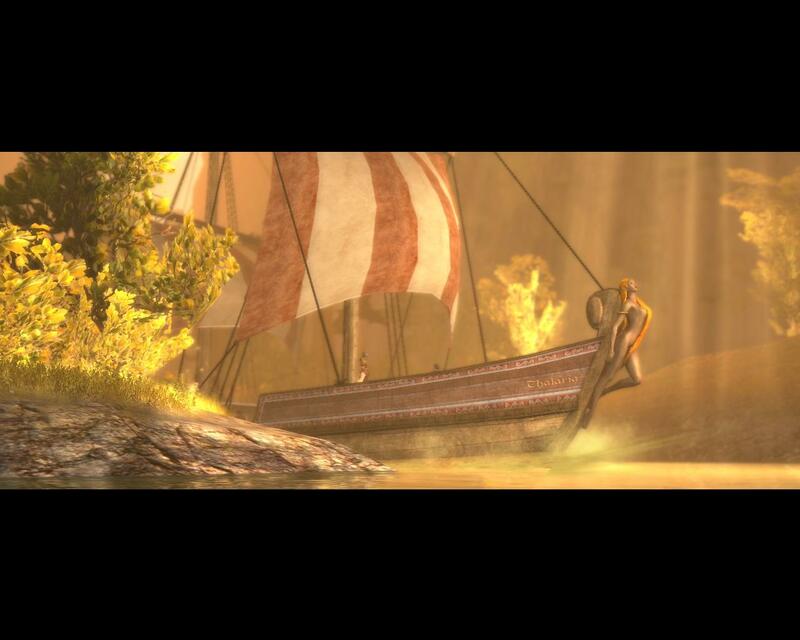 I think this might be what Dragon Age: Origins was ultimately missing — a real sense of adventure. So much grit was thrown in the face there that I became almost jaded and lost the simple wonder of wandering around a beautiful landscape, soaking up the sun and enjoying the colourful characters all around. Don’t we play games to forget what a horrible world we live in? Okay, both kinds of story have their place. 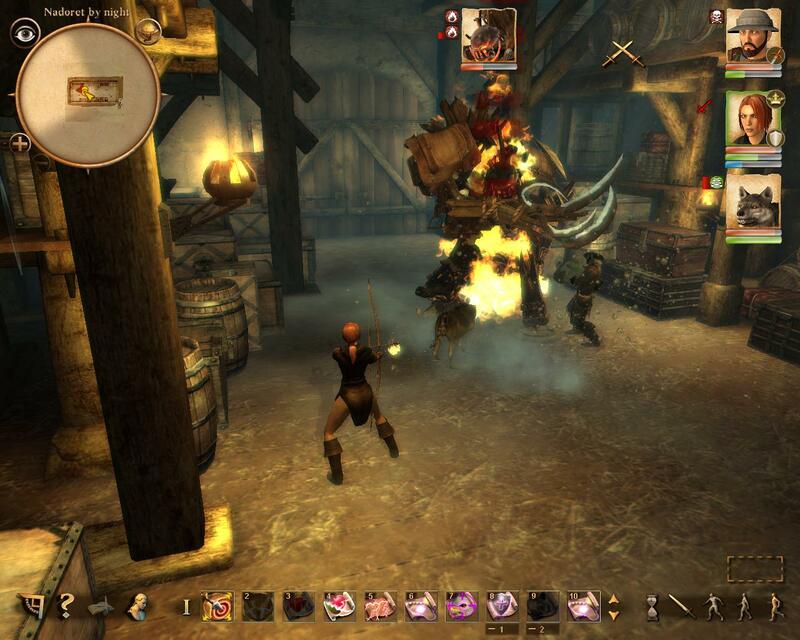 But the grimdark of Dragon Age felt contrived and forced to me (writing by focus group?) whereas Drakensang‘s, and so far its prequel’s, only-seven-tenths-serious tone flows very naturally (while deftly avoiding the pop-culture trap of everything Blizzard ever touches, unless it’s all German pop culture lost in translation). Once you get your first actual team mates, things hot up fast. There’s something very comforting about the first town, Nadoret, and its surroundings. As a completist, I felt compelled to walk its perimeter and then work inwards, but while doing so I never felt tired or bored. And even if boredom (or a desire to advance the plot now) strikes, there’s a convenient fast-travel system — once you’ve reached a fast-travel point on your own two feet, you can quietly teleport there in future, though only from another fast-travel point. This is the best system, I think. It gives you a balance of wandering around and exploring the landscape, while also adding an element of journey planning (like Morrowind‘s Silt Strider bus service). There’s no easy jump where you can skip half the world, but there is less arbitrary run-around in the long term (as the areas do seem to be somewhat larger than those of the original Drakensang). Oh, for the life of a wandering warrior, not a care in the world… Until he has to save it. So… Well, if I had known a boxed international edition had been on sale since January I would have ordered it up far sooner. The River of Time is, precisely as advertised, more of the same, but subtly tweaked and enhanced. I could never have wished for more. 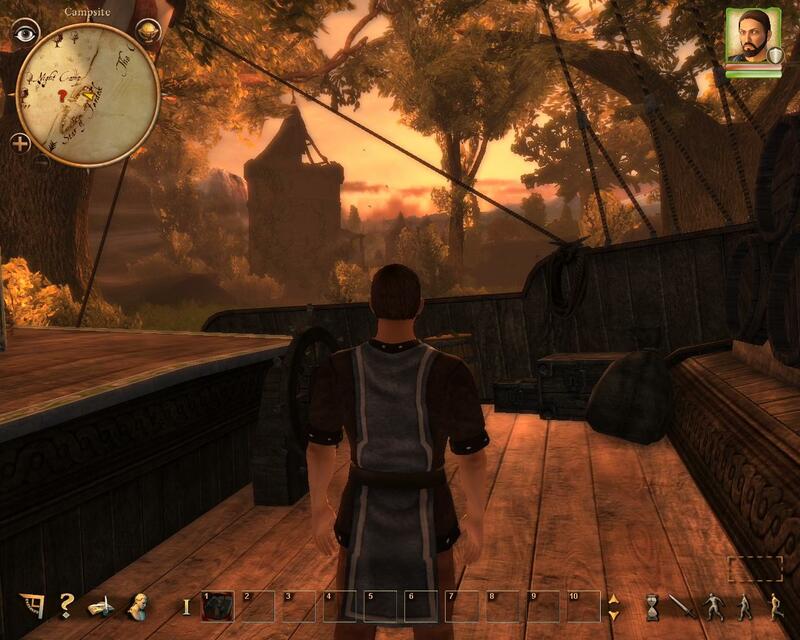 This entry was posted in Gaming and tagged Drakensang, prequel, Radon Labs, The River of Time by Rao Dao Zao. Bookmark the permalink.